For an essay in which a father tries to bond with his teenage son. The father shows his son how to poach eggs. They talk while they wait for the timer to go off. 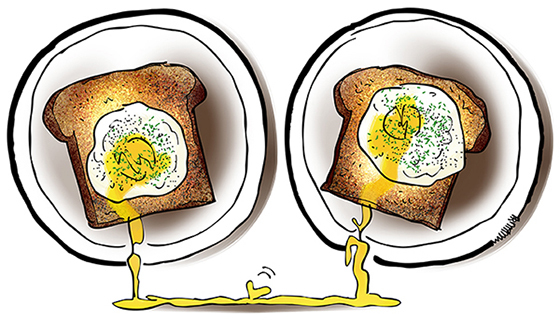 Finally, they butter toast and slide on the eggs. The son stabs his yolk with a fork, and the father, in an inspired moment, does the same.